The holiday season is upon us and that means it’s time to get decorating! 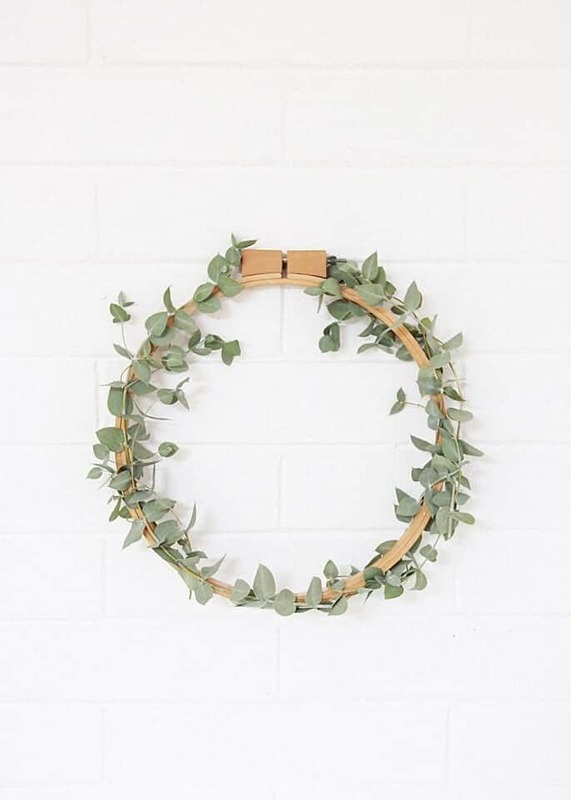 Sure, you could outfit your home with tons of store-bought beauties, like pre-made garlands, signs and other baubles, but traditions are often made with the work of your own two hands! I love involving my daughter in my DIY projects, especially during the holiday season. 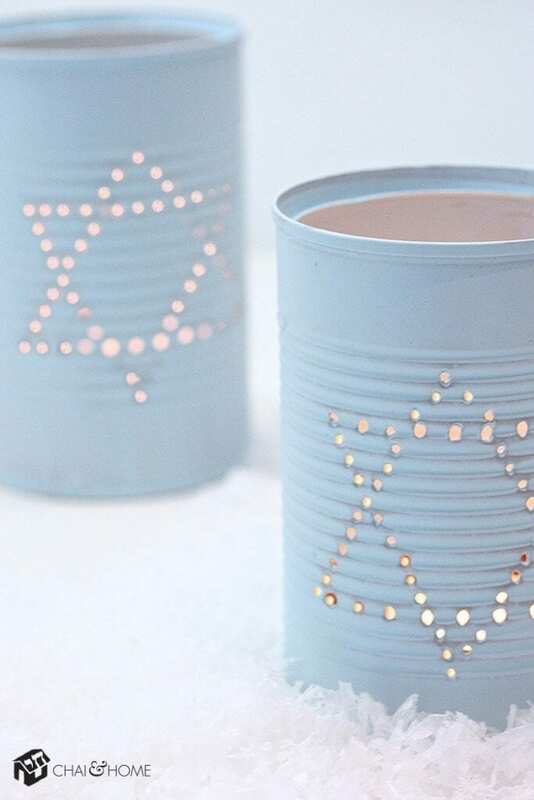 If you celebrate Hanukkah, we’ve found some gorgeous DIY projects that can help bring your faith to center stage this year. 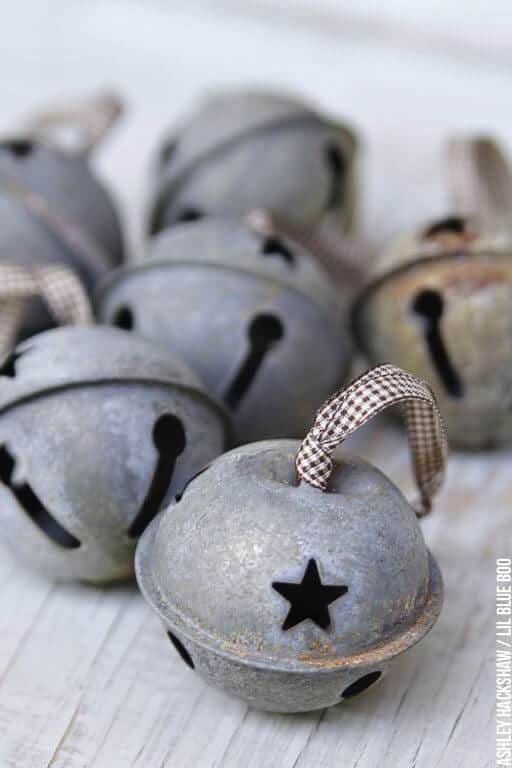 Check out our list of simple DIY Hanukkah projects to make this season. 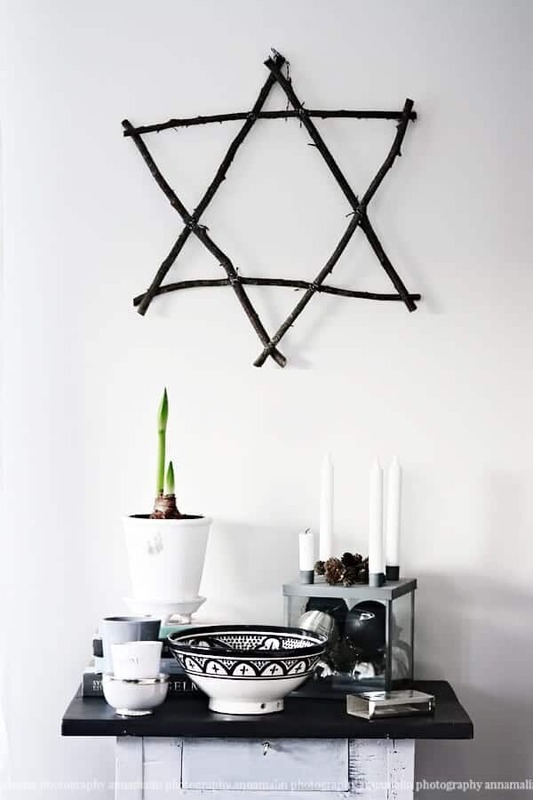 Simplicity is the key in this basic, yet stunning branch Star of David. This particular Swedish designer is all about black, white and minimalism. See more of this gorgeous space at HeltenKelthosmig.blogspot.com (and don’t forget to translate into English!). DIY menorah’s are beautiful and still hold the reverence and story-telling ability as much as a traditional style. 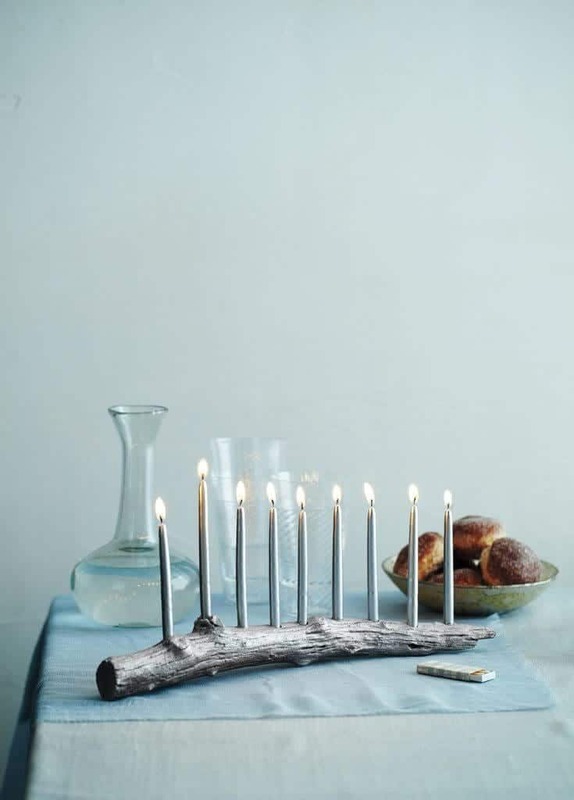 From modern to rustic, there are no limitations when it comes to creating a menorah that fits the look of your home. This tree branch style was simple made and painted to match the silver candles. 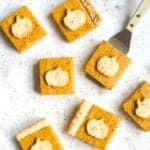 PopSugar.com has several more DIY menorah projects. 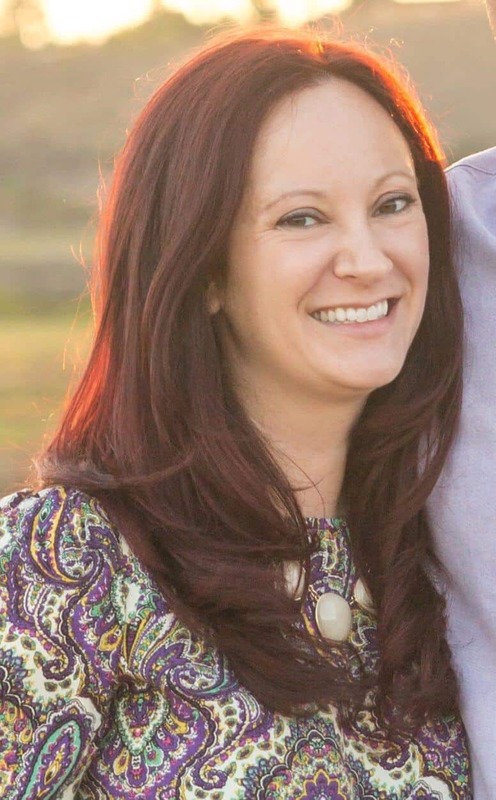 If you don’t like this style, there’s bound to be one you DO like, so head over! Is it really Hanukkah without some sort of dreidel decor? Ok, technically yes but they are definitely a must to include in your decorations. 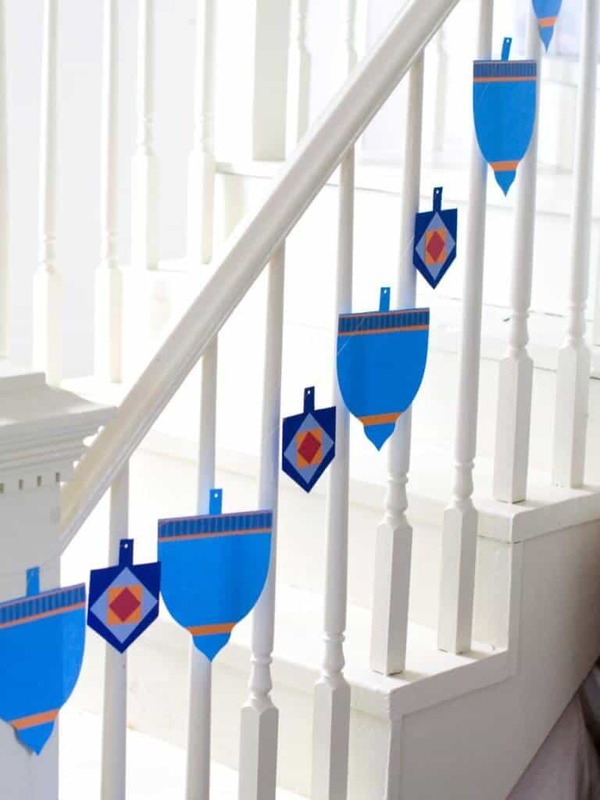 This dreidel garland is the perfect way to involve your kiddos, by having them design their own unique dreidels that you can string up on a garland for your mantle or stairs. Check out more Hanukkah decor ideas at HGTV.com. 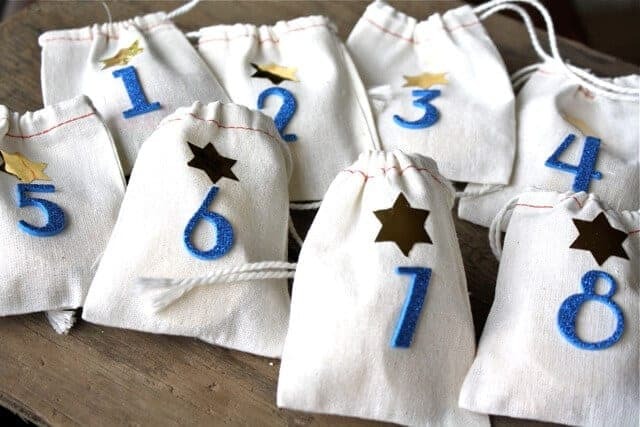 Whether you’re stringing up 8 days of small gifts or using these bags as Gelt bags for a Gelt tree (think: chocolate coins and dreidels! ), you can’t deny how cute and functional they are. 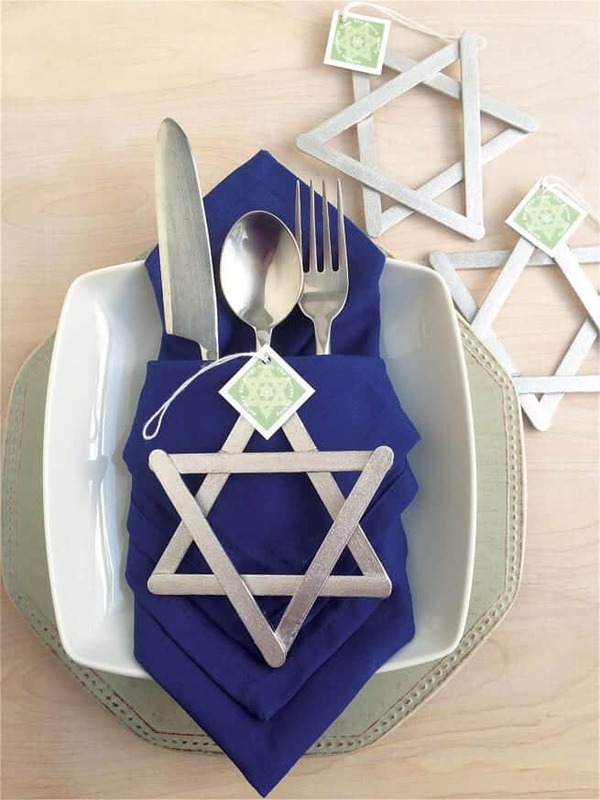 Simple muslin bags are adorned with iron on Star of Davids and foam letters to indicate the day in Hanukkah. I love that these can be used year after year! Check out the easy details on making these yourself at YesterdayOnTuesday.com. 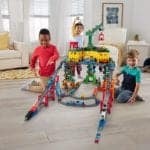 Get your big kids rounded up for this fun DIY project. All you need is a clean can, hammer, nail and paint. Draw out a Star of David (or just eyeball it- we wish you luck with that one!) and lightly tap the nail through the can until you’ve made the complete design. Then paint in a festive Hanukkah color and pop in a tea light for a beautiful luminary to get you in the holiday spirit. 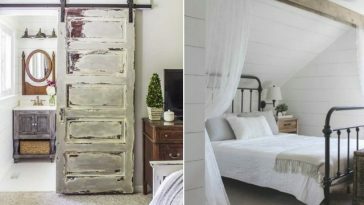 Check out all the DIY details at ChaiAndHome.com. 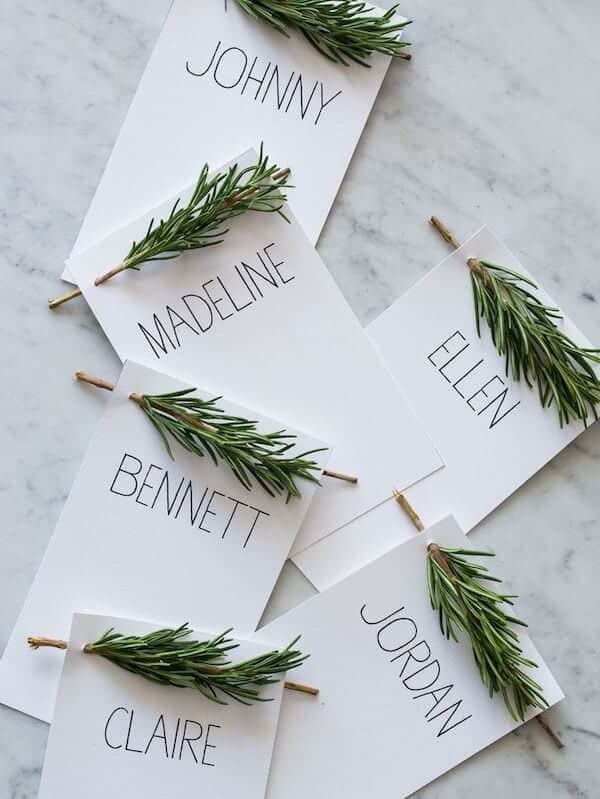 While you may not have a Christmas tree, you can still make ornaments to hang from a mantle or staircase, or use them as place setting decor like in this photo. Would you believe these shiny, elegant looking ornaments are just made from painted popsicle sticks? 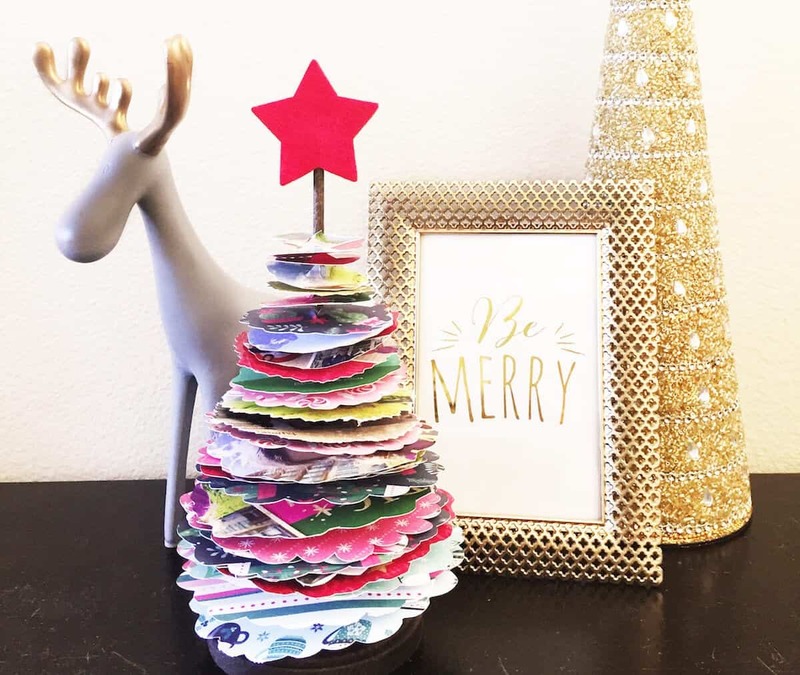 Both you and the kids will enjoy painting and assembling these classic and traditional ornaments to use however you like. Head to Evermine.com to see how you can use these decorations in more ways.